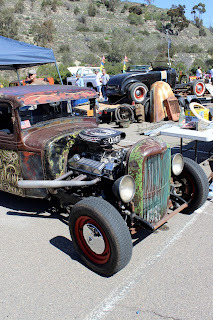 This past weekend was the annual Big Three Swap Meet in San Diego, Ca. I drove down there on Saturday to check out all the action. Here are some photos of the crowds, cars and unique stuff up for sale. The Big Three Swap Meet is held at Qualcomm Stadium. 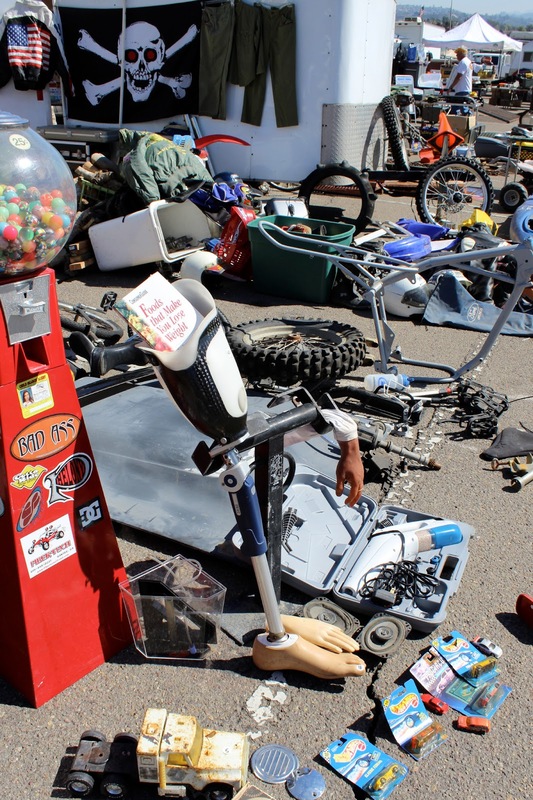 I had never been to the swap meet before and it was impressive. 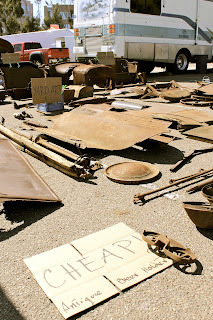 There were a lot of vendors with all sorts of car parts and garage stuff. A lot of the attendees were men, women or families that had simply emptied their garages. California Car Cover was not vending at the show this year, but I wanted to go down and visit some customers. Need a vise for your work bench or maybe a Michael Jackson record? How about some hub caps? Or...hup caps? 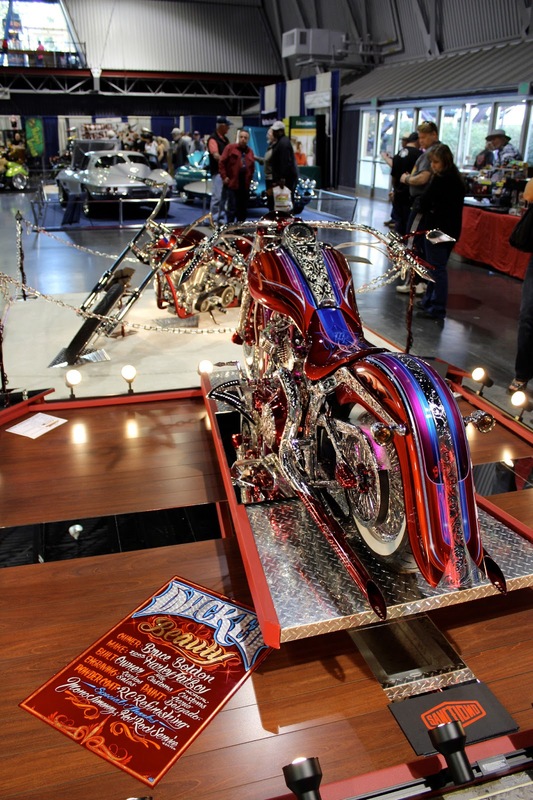 The show attracts 100's and 100's of vendors from all over the country. There was aisle after aisle of car parts. 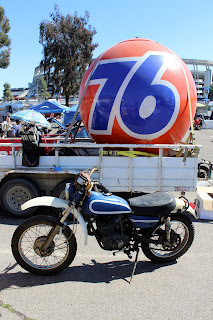 I am used to the vendors and crowds at the Pomona Swap Meet, so the Big Three was impressive. There were plenty of cars up for sale and vendors everywhere. You can find just about anything at the Big Three. There were a ton of vendors with bicycles and motorcycles up for sale. Any make, any model, any condition pretty much. 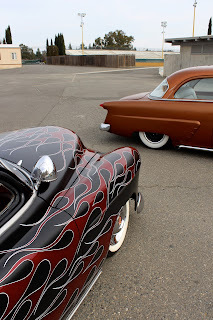 I love old Chevy Novas and there were quite a few up for sale. Here are some photos of a few clean ones that were on display. I like this vendor's signs. You can buy the rusty car parts and use them however you want. Need a full size Unocal globe for your garage? These decals were on the back of a vintage trailer that was being used over the weekend at the show. Below is a California Car Cover Instagram collage from the show. Check back next week for more photos from adventures on the road with Tony DeFrank from California Car Cover. Follow CCC on Facebook and Twitter for event updates, specials and much more. 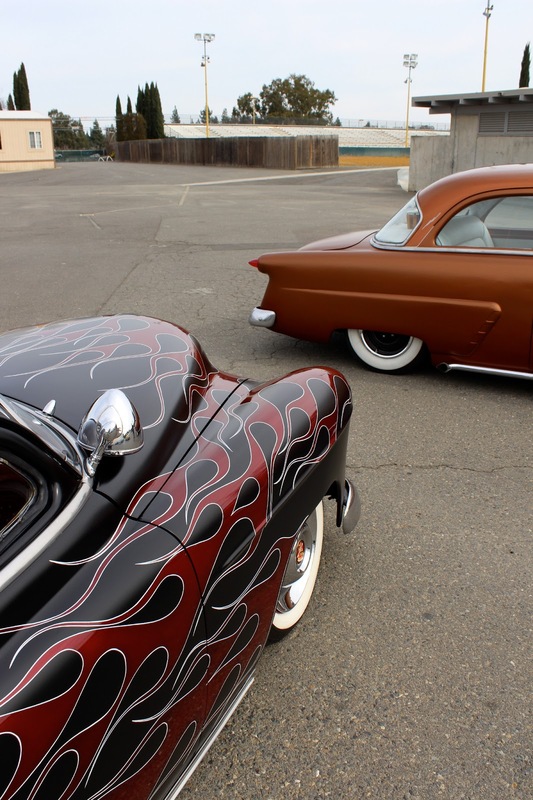 This past weekend was the 63rd Annual Sacramento Autorama held at the Cal Expo Center. It was the first time for California Car Cover exhibiting at the event and we had a great time meeting with long time customers. Here are some photos from the show. A few of the pinup contest entrants stop by the booth to say hello. 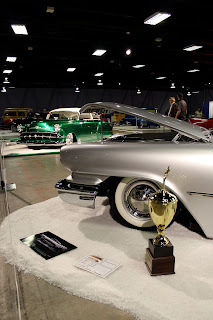 Quite a few of the award winning cars had been on display at the Grand National Roadster Show in Pomona a few weeks ago, but it was still great to check out the cool customs. Up in the mezzanine, there was plenty of candy paint and white wall tires on display. 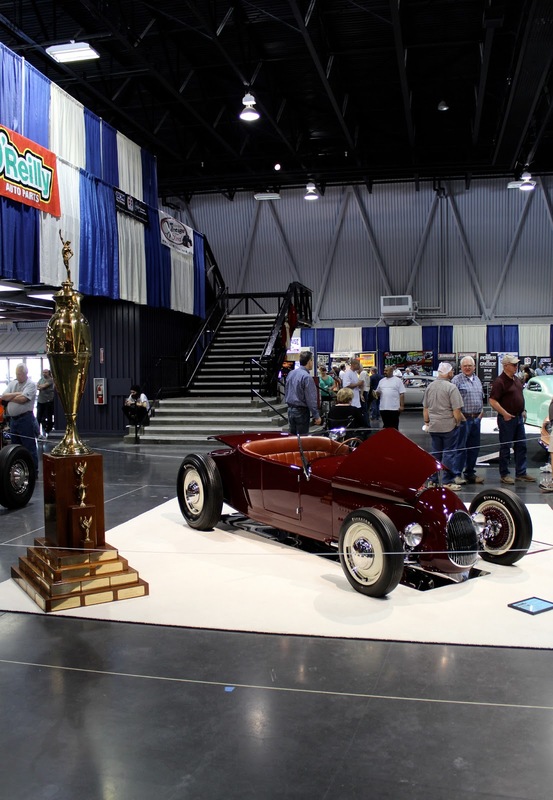 The winner of the 2013 America's Most Beautiful Roadster built by Brizio Street Rods was on display at the show. 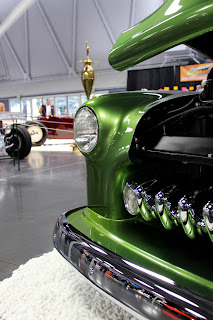 There were hundreds of cars on display at the show and I tried to get photos of most of them. The Cal Expo Center is pretty spread out, so there was a lot of ground to cover to see all the cars. 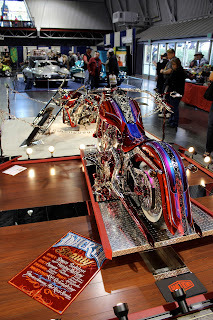 This vehicle won the award for Custom of the Year at the Autorama. The Cal Expo Center had 11 buildings full of cars. In the smaller buildings, there were nice collections of bicycles, race cars and hot rods on display. On Saturday and Sunday outside the main building, the Autorama hosted the Drive-In which welcomed local car owners to put their cars on display. This casual show had some nice vehicles that showed up on both days. A nice feature on the Autorama was the hot rod legends book signing. 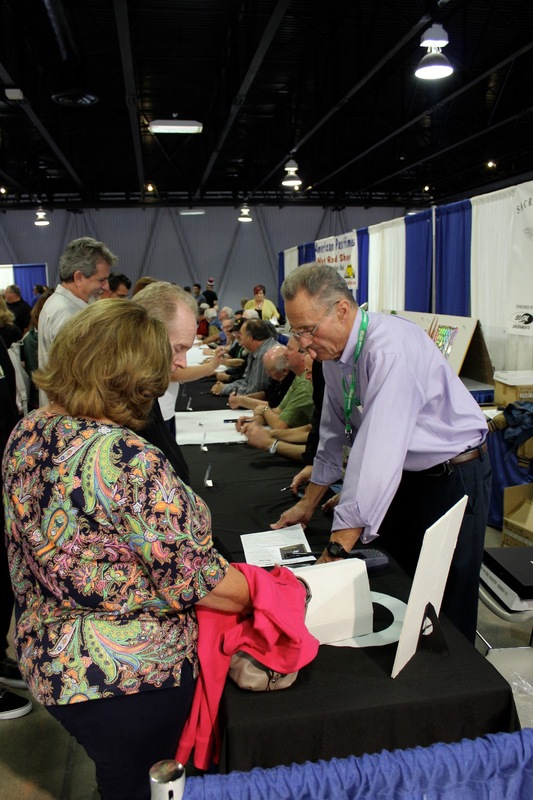 The event lined up some of the most well known hot rod builders of the past 40 years and gave fans the opportunity to meet them and have them sign books and literature. 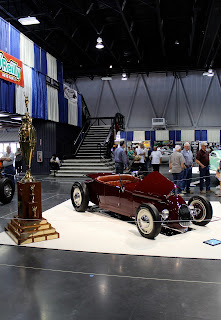 The Suede Palace housed a few traditional style classics and hot rods, plus was home to live music and the pin-up contest during the weekend. There were over 250 cars on display in the Pavillion alone. It was great to see many local clubs supporting the show all weekend. Do you follow California Car Cover and me on Instagram? Here are some of the cool pics I posted to our feed from over the weekend. 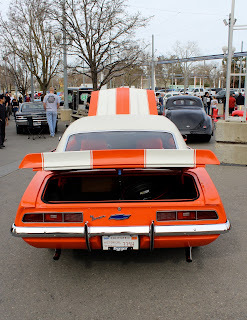 Follow along for more cool photos from car shows all over the country. We made a pretty cool Customweave California Car Cover for Bones' Cadillac Wagon. Our Sales Manager Brian had to take measurements on quite a few car covers over the weekend at the show. We had a lot of fun at the show. Stay up to date with where California Car Cover and I will be next by following us on Facebook or keeping tabs on our events page on our main website.